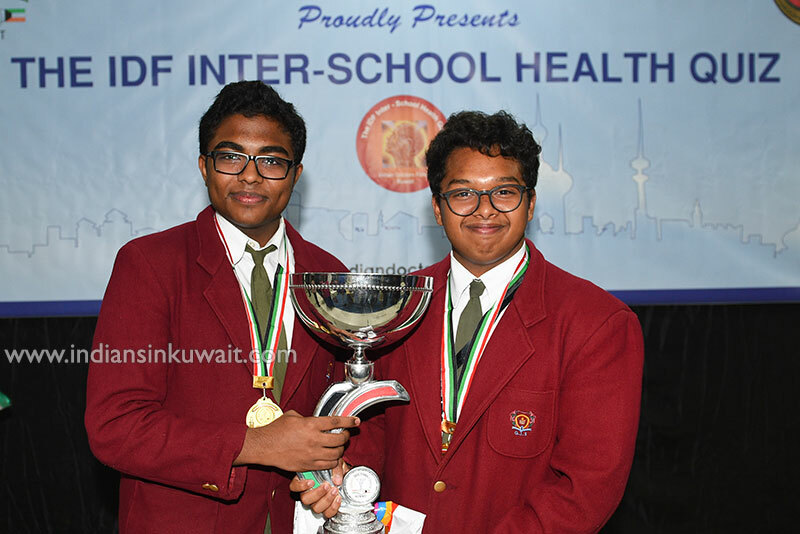 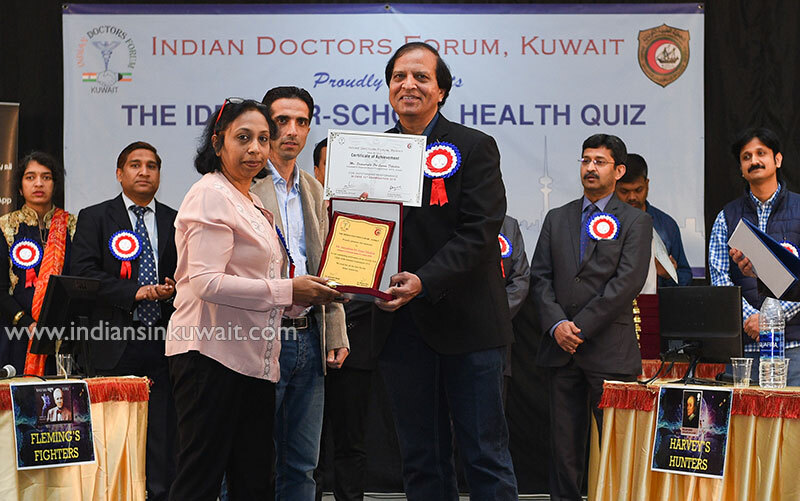 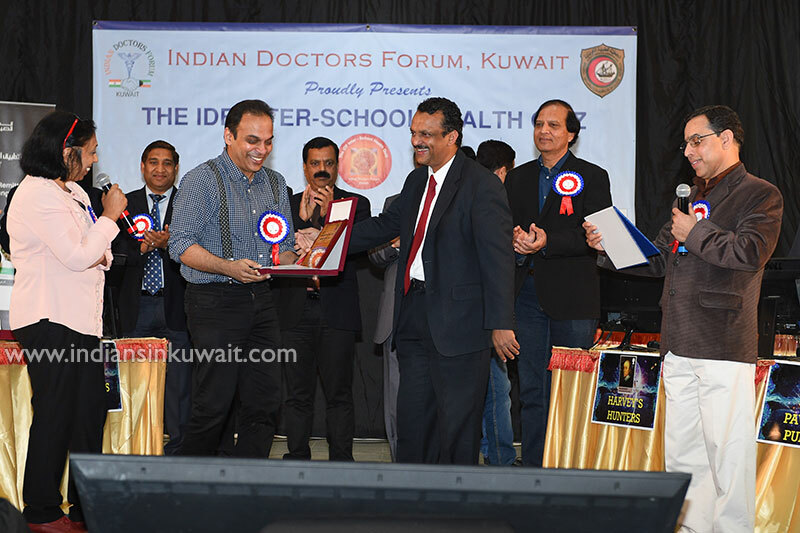 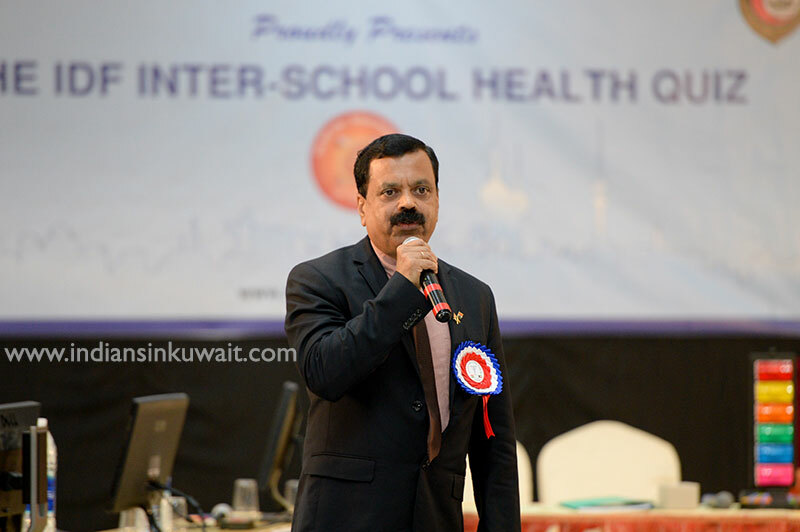 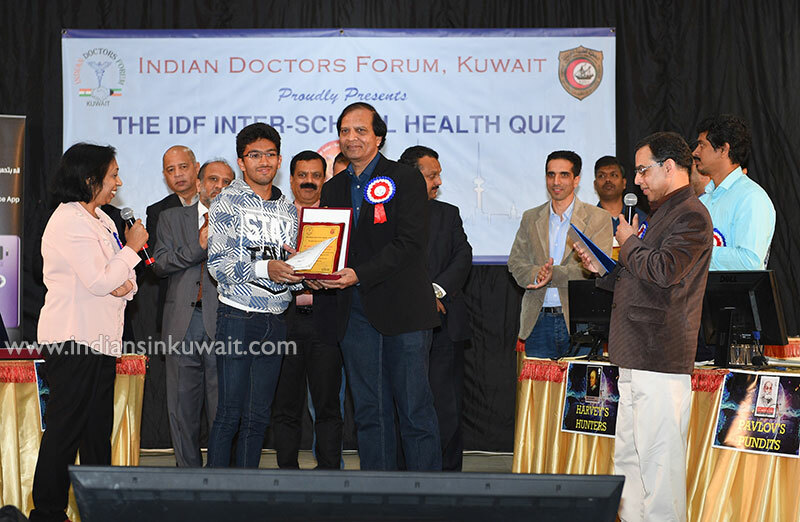 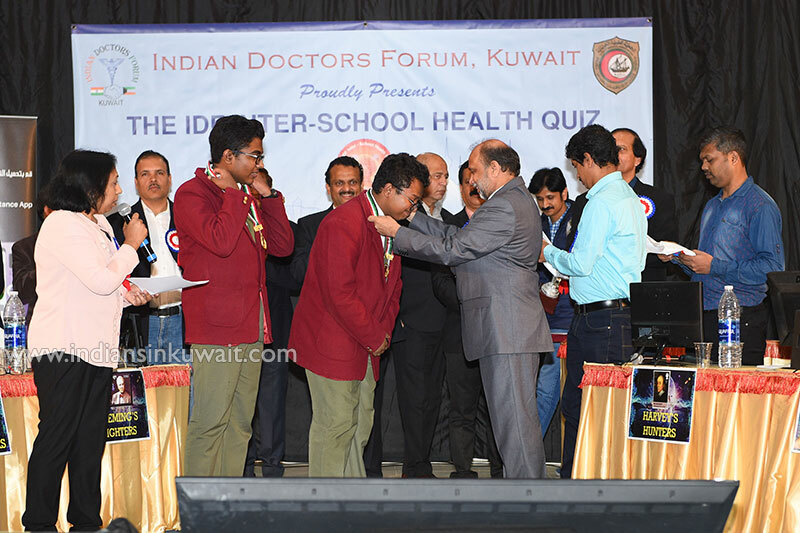 IndiansinKuwait.com - IDF Interschool Health Quiz – Gulf Indian School winner 3rd year in a row! 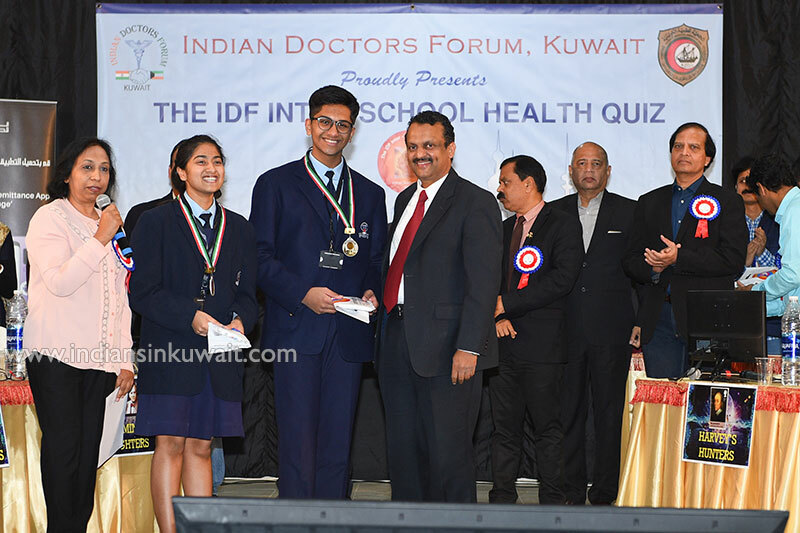 IDF Interschool Health Quiz – Gulf Indian School winner 3rd year in a row! 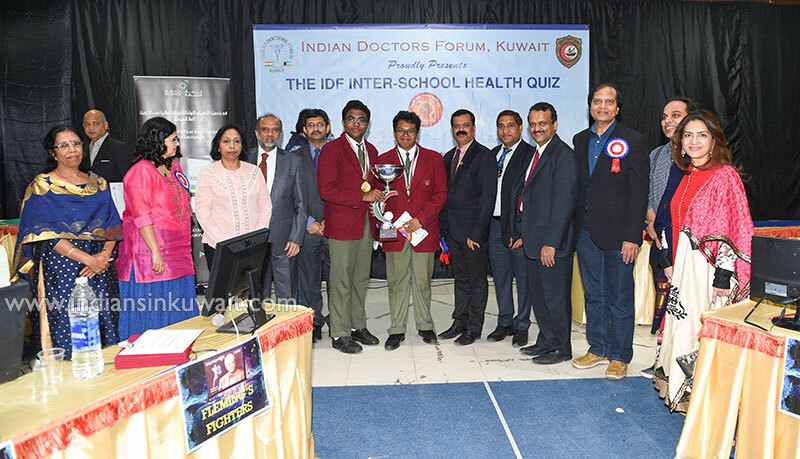 With a power packed performance, Gulf Indian School retained first spot in the IDF Interschool Health Quiz for the third year in succession. 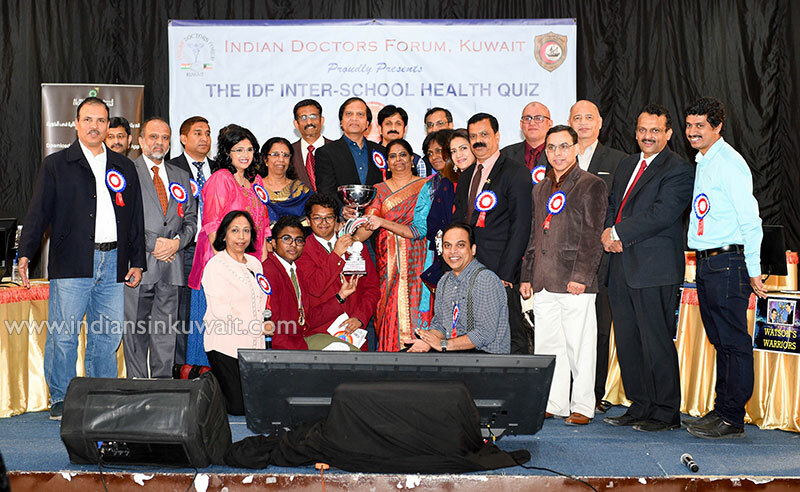 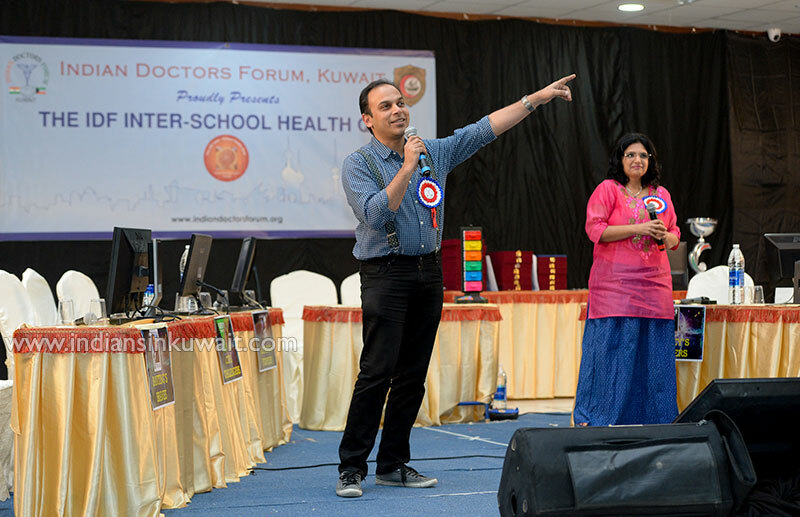 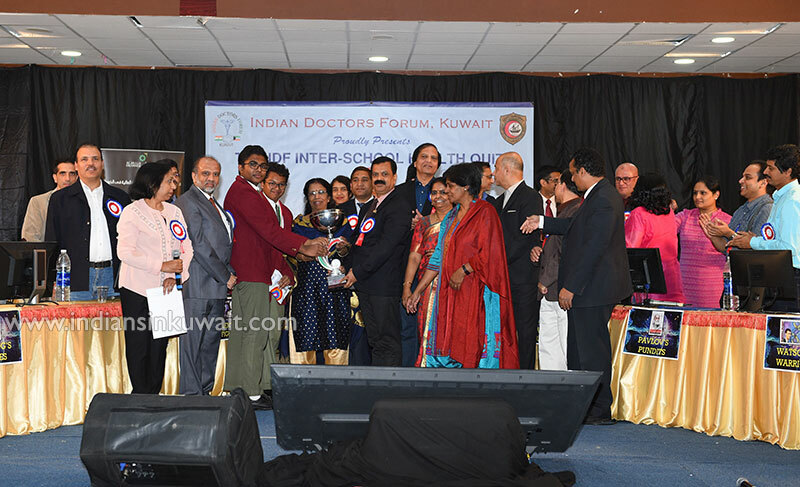 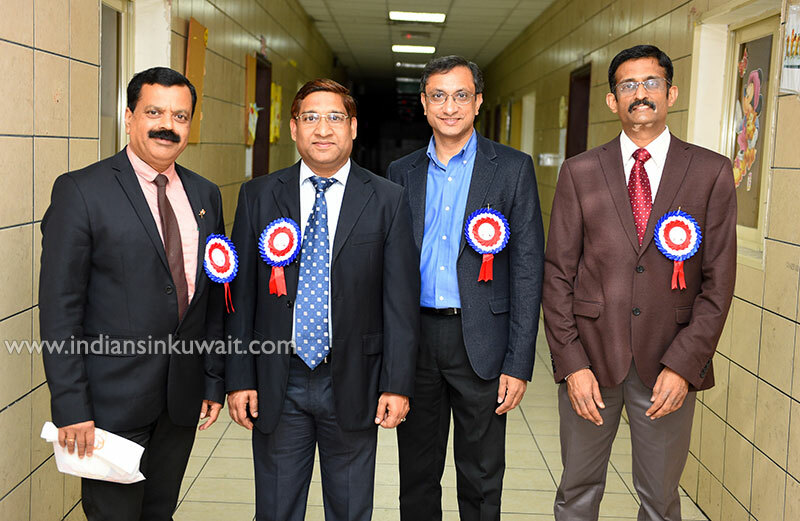 Organised by the Indian Doctors Forum, Kuwait, the IDF quiz over the last nine years has evolved into one of the benchmark quizzing events of the region. 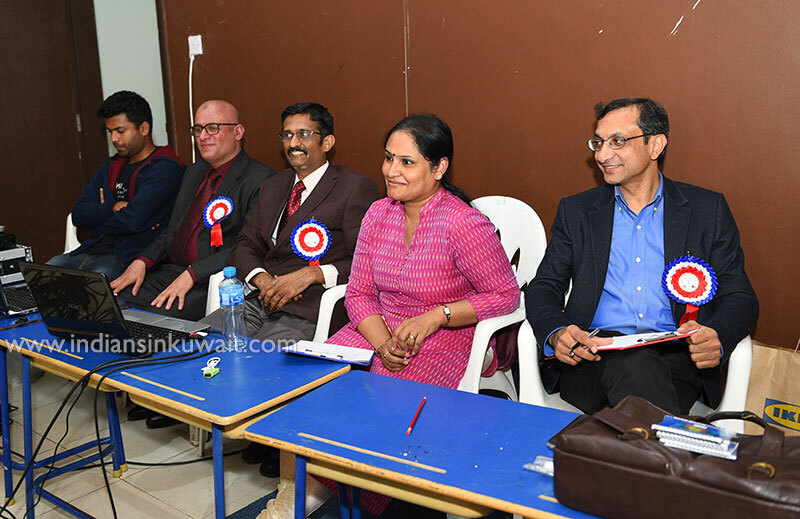 November 30th 2018 witnessed some high voltage activity at the venue with teams battling it out to win top honours. 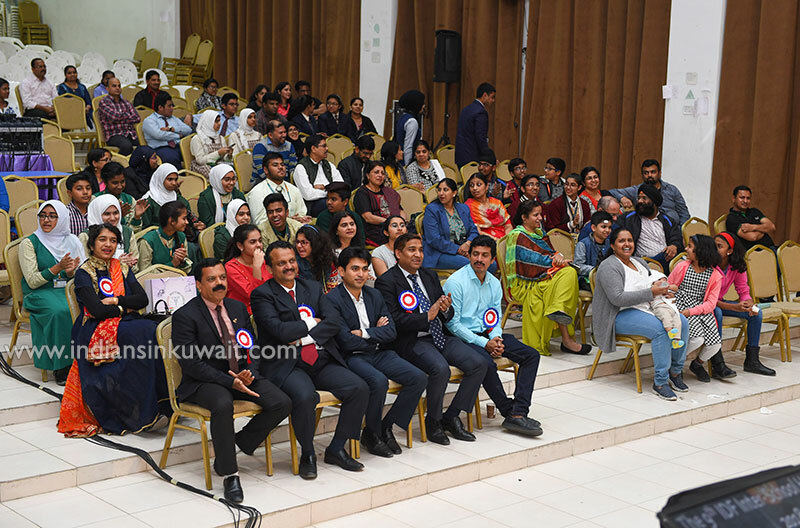 Twelve teams from various Indian schools in Kuwait attended the preliminary written test and the top six teams were selected for the onstage finals. 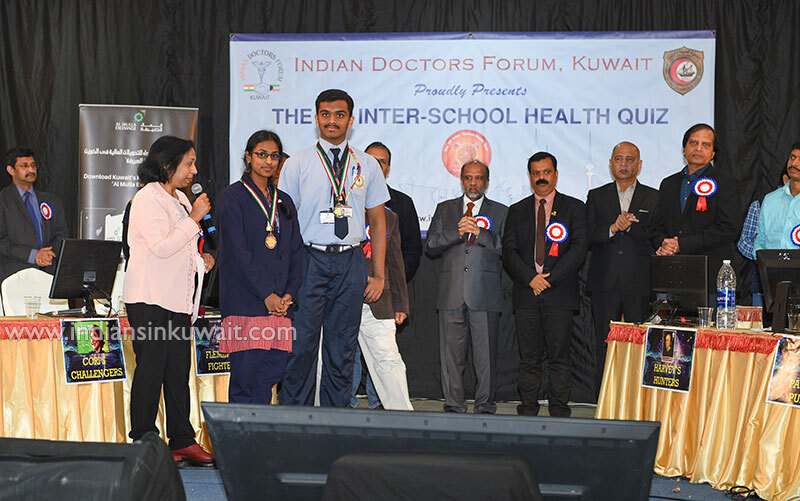 The finalists were – Jiya Elizabeth Jo and Joel George Moozhil (Carmel Indian School), Christeen Kuriakose and Devaprabha Sivaprasad (United Indian School), Zarah Theresa and Arjun Biju (Indian Learners Own Academy), Lorraine Grace D’Costa and SakinaIdreesFakhruddin (Indian English Academy School), Fida Faisal and Nishel Alexander (India International School) and Fahaad Ahmad and NevinSaluChirayath (Gulf Indian School). 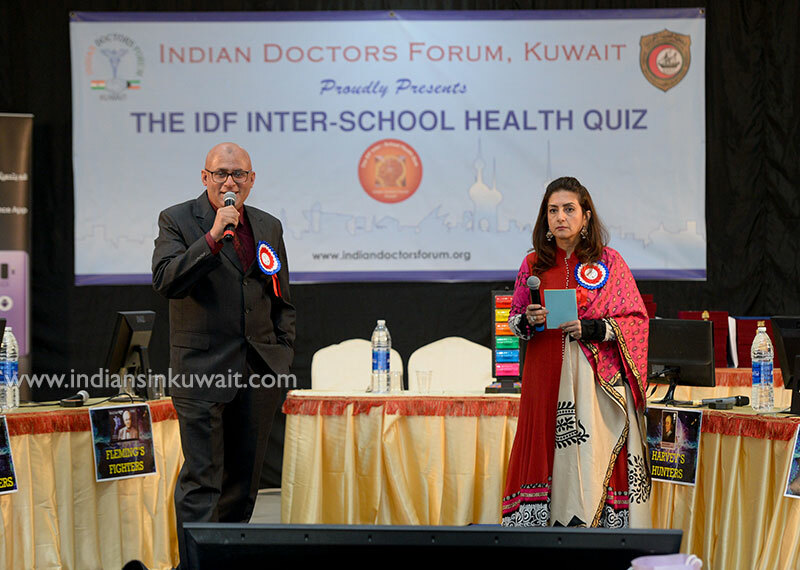 The main quiz was preceded by a quiz for the audience conducted by the energetic pair, Dr Naquib Inamdar and Dr Preeti Jolly who entertained the spectators with stimulating questions and fascinating nuggets of information. 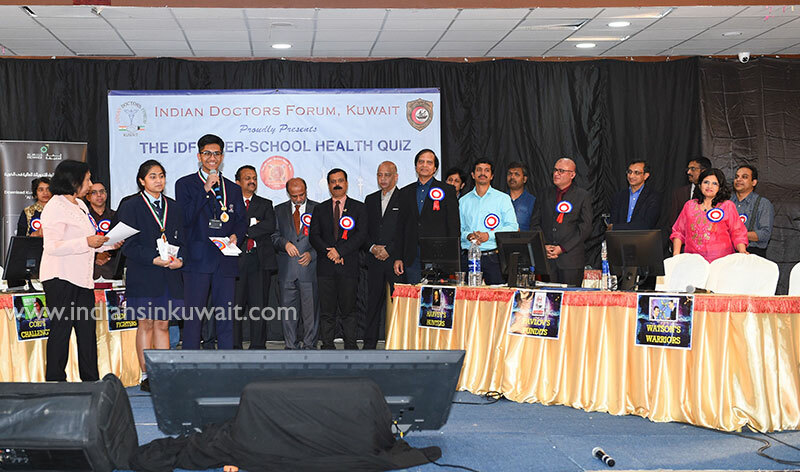 The main quiz began after the welcome address by the President of the Indian Doctors Forum, Dr SurendraNayak. 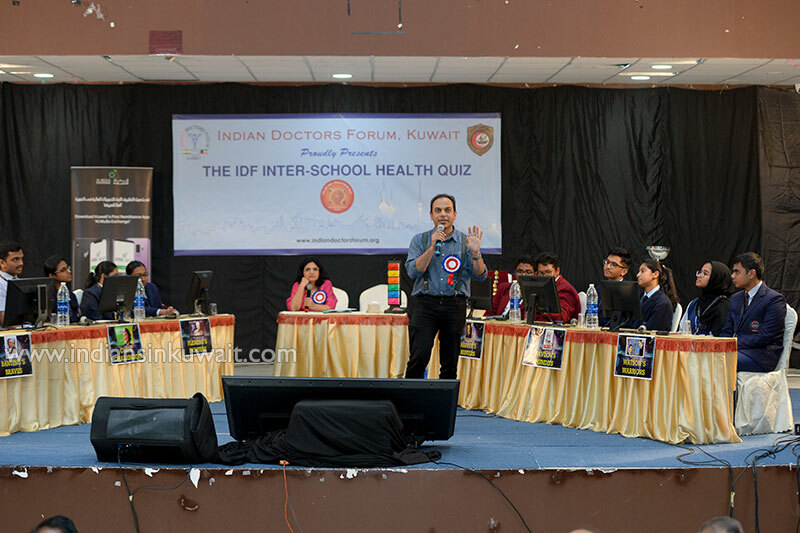 Dr Nayak spoke about the importance of events like the quiz to disseminate information and stimulate interest in young minds about the medical profession. 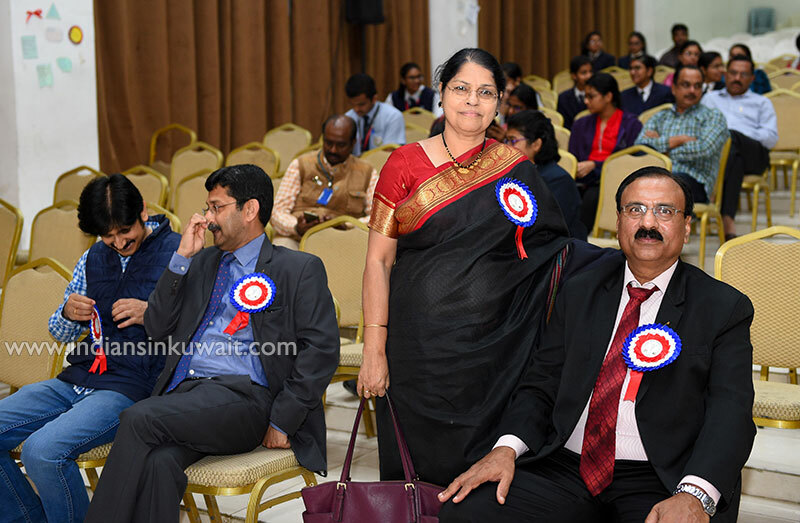 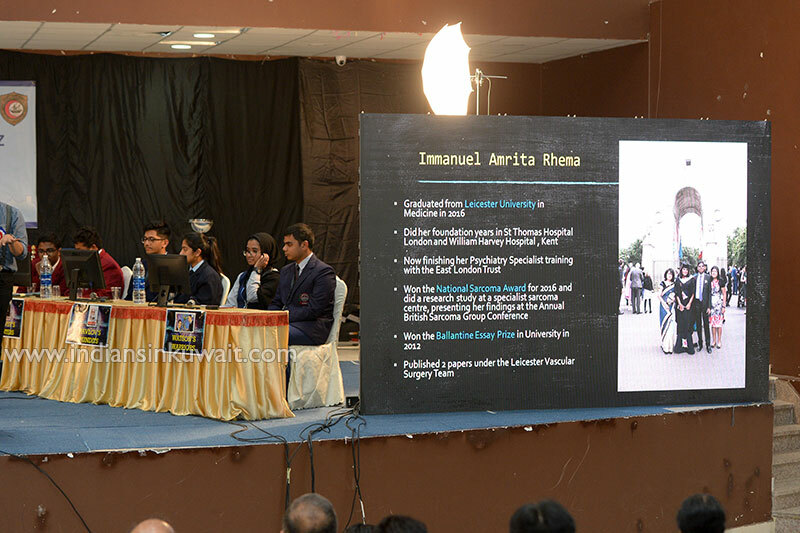 Drs Sebastian Mathew and Ananthapriya Vaidya were the quizmasters for the main quiz which featured eight thrilling rounds including numerous buzzer rounds, a link round, an activity round and video rounds. 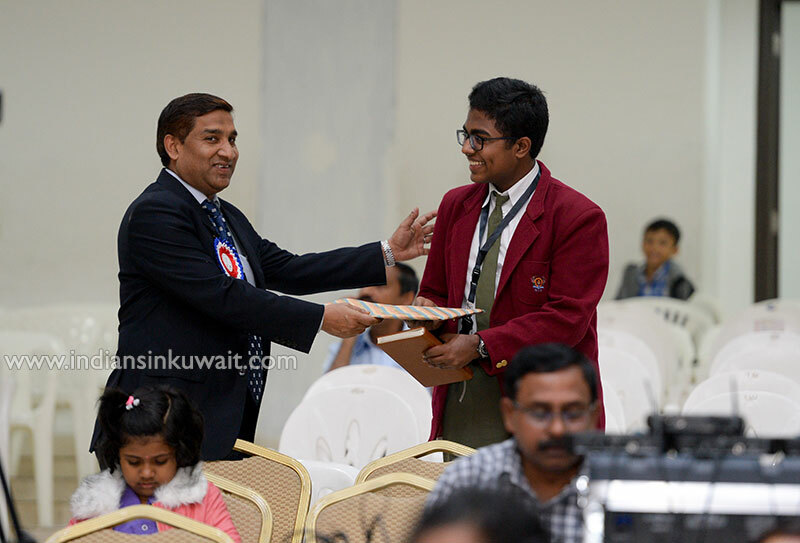 Carmel Indian School took an early lead but Gulf Indian School was unstoppable after they warmed up. 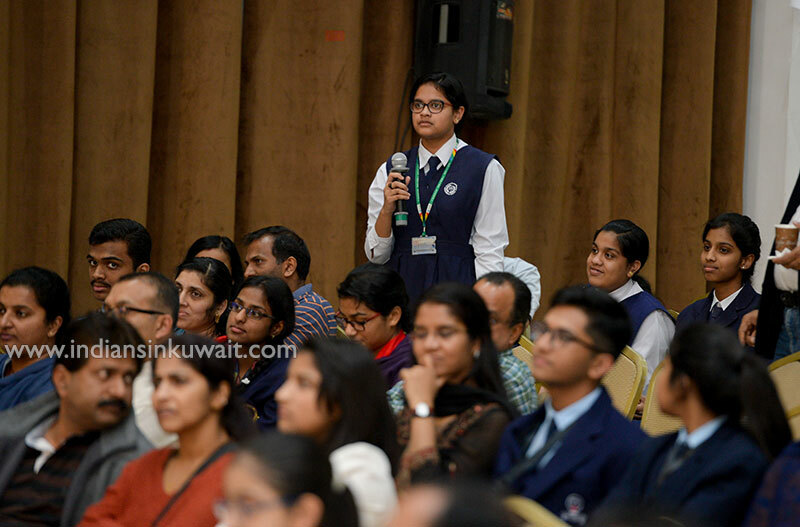 The buzzer rounds provided an adrenaline rush but the crowd favourite was the activity round which featured different activities for each team.The final round was a tense rapid fire session where each team could answer a maximum of twelve questions in one minute. 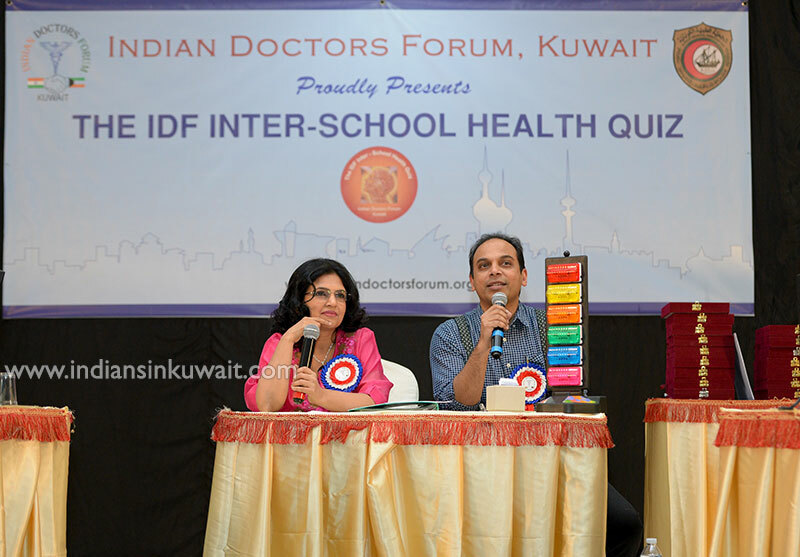 The quiz masters enlivened the show with their informative quips and humorous asides. 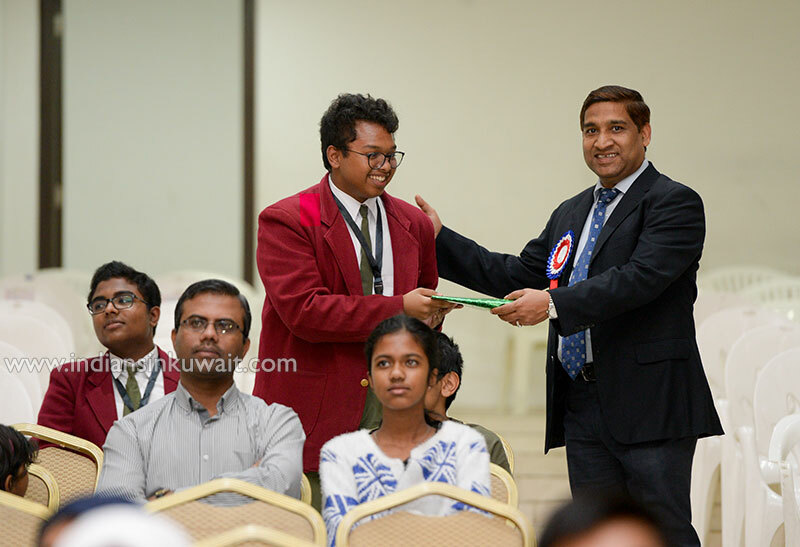 The quizmasters were ably assisted by Dr. Kannan Shreeram, Dr. Reji Athyal, Dr Naquib and Mrs. Tessa Sebastian in logistics, research and scoring. 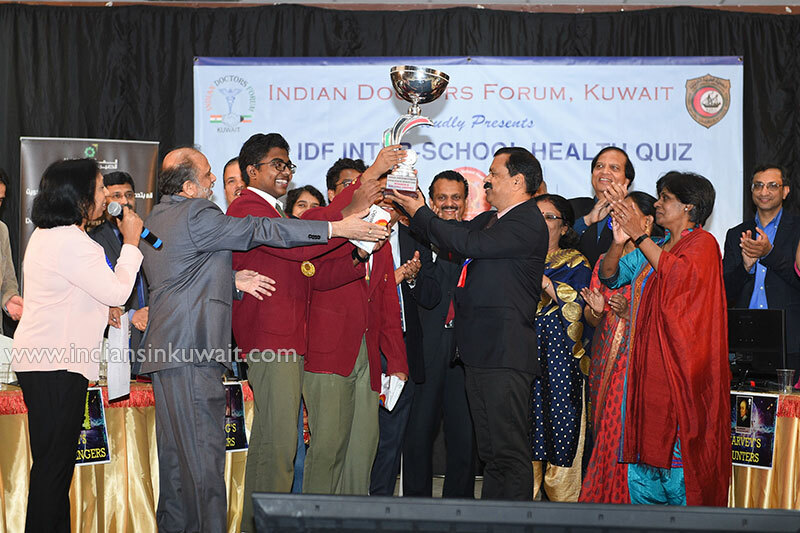 The glittering IDF Rolling Trophy was presented to the winning Gulf Indian School team by the President Dr Surendra Nayak amidst loud cheers and applause. 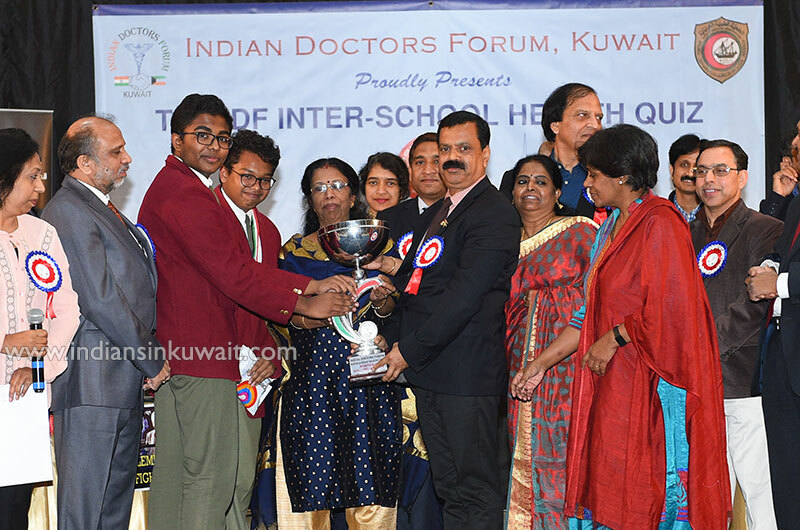 The second prize was presented to the Carmel Indian School team by the Vice President Dr Diwakar, the third prize awarded to United Indian School by the Gen Secretary Dr Mohan Ram. 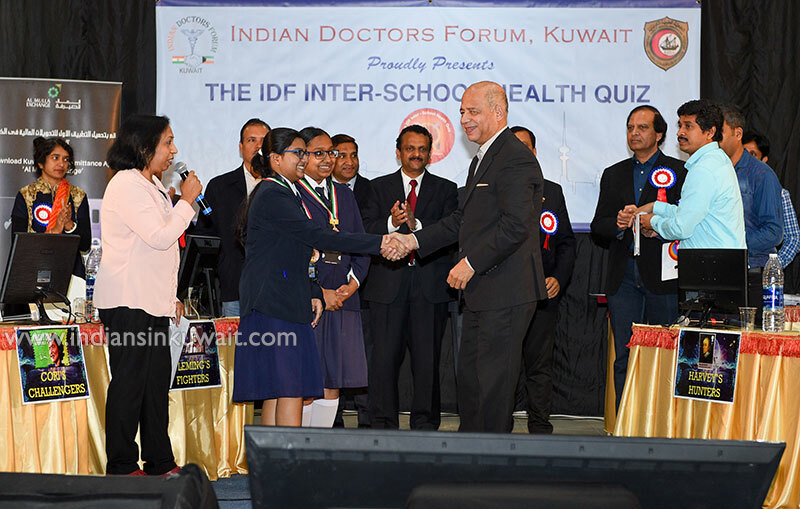 The remaining finalists were given consolation prizes by IDF Office Bearers. 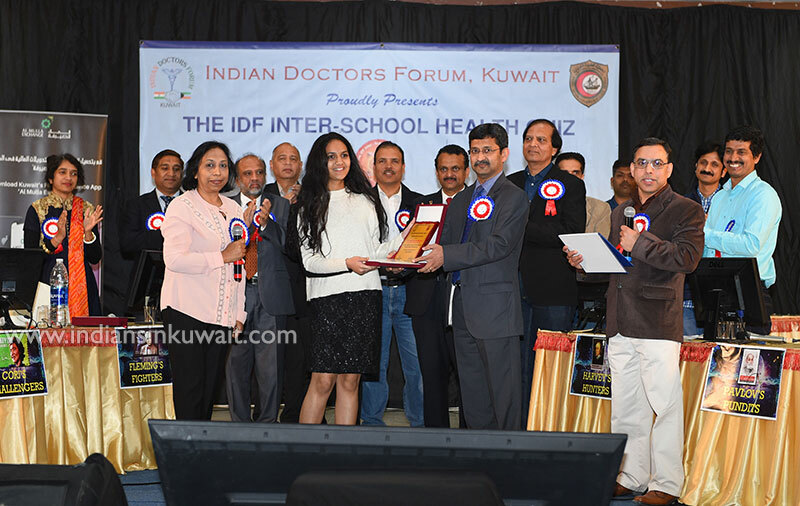 The program also honoured the children of IDF members who excelled in the Class X and XII examinations of 2017-18. 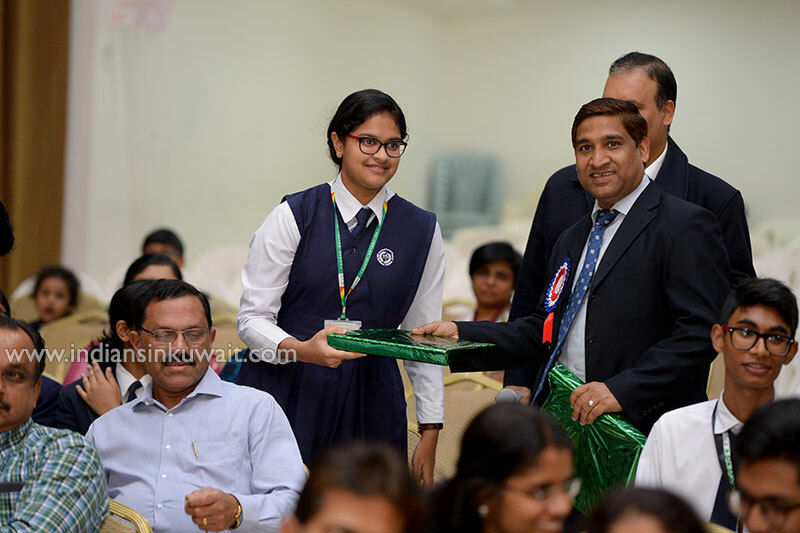 They were given Certificates of Merit and prizes while the MCs Dr Madhu Gupta ( Vice President) and Dr Arun Joshi ( Jt Gen Secretary) detailed the achievements of the students. 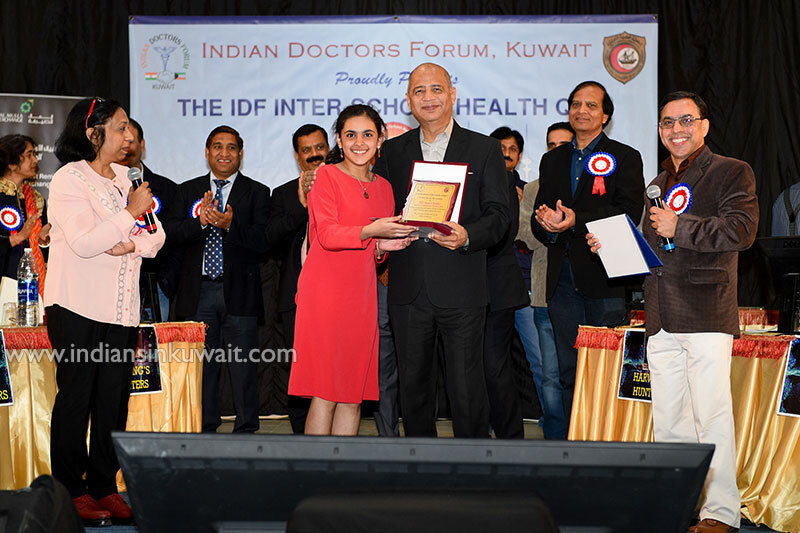 IDF hopes that programs like this will increase health awareness and inspire youngsters to become medical professionals serving the community.